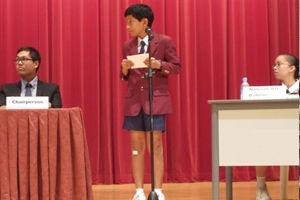 On the 25th of May and 1st of June 2013, the Raffles Debate Academy organised its annual Under-14 Debating Championships. Now in its tenth year, the annual tournament provides a rigorous competitive platform for debaters aged Secondary 2 and below to hone their oratory and intellect. United World College of South East Asia beat Hwa Chong Institution and emerged as champions of the competition. Click on "Continue Reading" for more results of the RDA U-14 Debating Championships 2013. Written by DA(S) Admin on 12 June 2013 . The Grand Final and 3rd & 4th placing debates was held at the MOE Edutorium on 1 June 2013. Methodist Girls’ School (Primary) beat Rosyth School and won the Grand Final of Wits & Words and Tao Nan School beat Poi Ching School in the 3rd & 4th Placing debate. Click on "Continue Reading" for more results of Wits & Words 2013. On the 28th of May 2013, Seng Kang Secondary School, Punggol Secondary School and Nan Chiau High School jointly conducted the Debate Festival 2013, a round robin debate competition. Each school participated in two hotly-contested debate rounds on pressing issues of the day, such as global warming and public healthcare. Debate Association (Singapore)’s Debate Development Initiative* was happy to support the event by staging an exhibition debate and adjudicating the debate rounds. 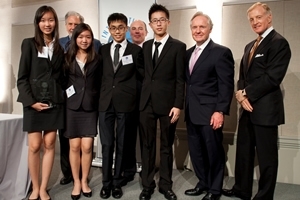 Congratulations to Nan Chiau High School for emerging Overall Champions of the Debate Festival 2013! Best speakers from each school contingent were also named. * The Debate Development Initiative is an excellence programme by Debate Association (Singapore). It seeks to provide developmental exposure to promising young debaters from schools without access to extensive debate resources. 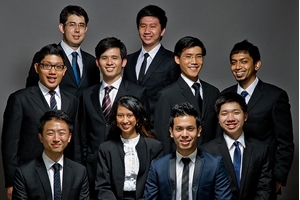 Debate Association (Singapore) will be holding its Annual General Meeting (AGM) on Sunday, 7 July 2013, 2.30-4.30pm. All registered members of DA(S) are invited. The AGM will vote on the candidates to replace the retiring executive committee members, and discuss our plans for the coming year. Ordinary members who wish to run for the available positions must formally indicate interest to the Secretary (adrienne@debates.org.sg) at least 1 week before the AGM (i.e. nominations will close 1 week before the AGM). All DA(S) members are invited to attend the AGM. However, only adult members (over 18) will be able to vote and run for elections. Please note that DA(S) will temporarily cease processing new member applications from 26 May 2013 to 8 July 2013. Any applicants who apply within this window will only have their memberships approved after the AGM. Please send an email to outreach@debates.org.sg with your full name and NRIC number if you would like to attend the AGM. Due to space restrictions at the meeting venue, we would appreciate if you could inform us by 30 June 2013 if you will be attending this AGM, so that we can plan accordingly. Due to the busy examination schedule and to allow teachers more time to choose their teams, the registration deadline for the Primary School Debate Open has been extended to 7 June 2013, Friday 2359 hours. We strongly encourage all primary schools to take part in this tournament as it is a wonderful opportunity for upper primary students to hone their debate skills prior to next year’s Wits & Words Inter-Primary Tournament. Not to mention, it gives newer students the chance to get acquainted with the formalities of debate. This competition is also one of the few open tournaments available to primary school students and hence this opportunity should not be missed! We would like to thank the schools who have already registered and to note that the 30 May briefing will be postponed in light of the new deadline. More details will be provided once the deadline has closed. Should you have any inquiries, feel free to email us at pridebateopen@gmail.com or walter@debates.org.sg. The deadline for registration for the Singapore Red Cross International Humanitarian Law Debate Series has been extended to 9 June 2013, 2359 hours. This is in light of examination period and many overlapping events. The tournament is a one of a kind competition which exposes debaters to different aspects of humanitarian law and challenges them to consider global issues. Click on this link: http://www.debates.org.sg/?p=2302 for more information on the competition. Please send your registrations to walter@debates.org.sg as soon as possible as the tournament organizers have imposed a cap on the number of teams and places are filling up fast!